WEDNESDAY, Oct. 5, 2016 (HealthDay News) -- The measles outbreak that struck an Amish community in 2014 illustrates the ongoing threat the infection presents -- and the importance of routine vaccination, U.S. government researchers say. The outbreak, which ultimately infected 383 people in Ohio, was the largest the United States had seen in over 20 years. It was almost entirely limited to an Amish community, and most who fell ill had never been vaccinated against measles. In the Oct. 6 issue of the New England Journal of Medicine, researchers with the U.S. Centers for Disease Control and Prevention describe the outbreak in detail. A key point is that the outbreak did not originate in the United States -- where measles was declared "eliminated" back in 2000. Instead, the virus was "imported" when two unvaccinated relief workers traveled to the Philippines and unwittingly brought measles back to their Amish community, according to the report. Over the next four months, people in nine Ohio counties contracted measles -- nearly all of them Amish, most of whom had never been vaccinated, the researchers said. The high rates of vaccination in surrounding communities probably protected those residents from falling ill, said Dr. Paul Gastanaduy, a CDC scientist and lead author of the new report. According to Gastanaduy, the message for the general public is simple: Make sure your children get the recommended measles-mumps-rubella (MMR) vaccine. "Even though we have no endemic measles in the U.S., it can still be introduced into communities here," he said. "Endemic" means that a disease is constantly present in a geographic area. Just last week, the Americas -- North, South and Central -- became the first region in the world to be declared free of endemic measles. But, the CDC says, measles is still common in Africa, Asia, the Pacific and some European countries. And the United States has seen relatively large measles outbreaks in recent years, related to imported measles. Last year, an outbreak that eventually spread across two dozen U.S. states was traced to California's Disneyland. Health officials believe an infected traveler who visited the park spread the virus to others. "Although the World Health Organization has correctly said measles is eliminated in the Americas, it can still be brought in by travelers," said Dr. Paul Offit, chief of infectious diseases at Children's Hospital of Philadelphia. "Measles is still a threat," he stressed. Last year's Disneyland outbreak got a lot of media attention, Offit noted -- which may have raised public awareness of the issue. But, he added, the 2014 Amish outbreak actually sickened almost twice as many people. Yet it got little media coverage. "We should've been just as upset by that outbreak," Offit said. "A lot of children suffered." Measles virus is highly contagious, spreading through the air when people cough or sneeze. Infection starts with a fever, runny nose, cough and sore throat, followed by a rash. About 5 percent of children with measles develop pneumonia, according to the CDC. And a small number -- around one in 1,000 -- suffer brain swelling that can cause permanent damage. A similar percentage die. The 2014 outbreak was traced to two young Amish men who traveled to the Philippines to do typhoon-relief work. The country was also experiencing a widespread measles outbreak at the time. When the workers returned home, they unknowingly brought measles with them. Over several months, the infection spread to 383 children and adults -- 99 percent of whom were Amish. Once the outbreak was detected, local health officials and the CDC worked to contain it. That included setting up free vaccination clinics; over 10,600 people showed up to get the MMR shot. 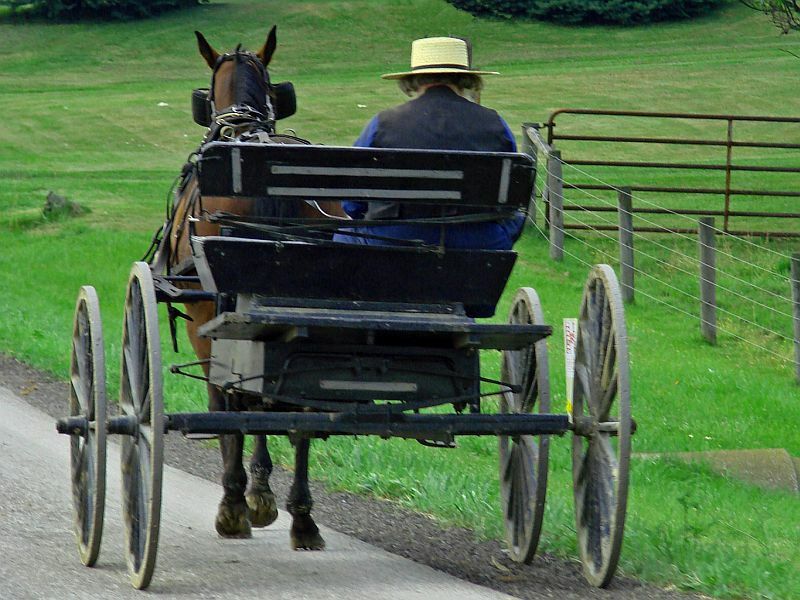 The Amish Church does not specifically forbid vaccination, according to the CDC researchers. But because of cultural and personal beliefs, the Amish have low vaccination rates. If that can be changed, Gastanaduy said, it would go a long way to protecting those communities from future outbreaks. He noted that people were more open to getting the MMR vaccine in the wake of this outbreak, versus previous ones. Children in Amish communities are not the only ones at potential risk. In recent years, health officials have raised concerns about parents who skip or delay their children's vaccinations over safety worries. In particular, some parents are wary of the MMR vaccine because of a purported link to autism. That link, however, has its roots a study from the 1990s that was later found to be fraudulent. "It's a safe and effective vaccine," Gastanaduy said. If parents have any questions about the MMR vaccine, he recommended they talk to their pediatrician.